Which Services is Commonly Offered by Modern Commercial Banks? 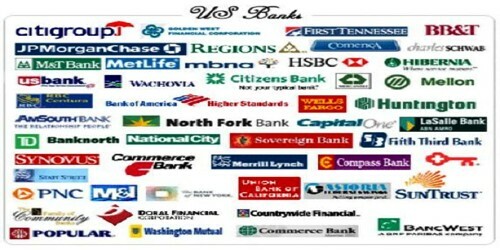 Commercial banks are the most important components of the whole banking system. A commercial bank is a profit-based financial institution that grants loans, accepts deposits, and offers other financial services, such as overdraft facilities and electronic transfer of funds. Accepting Deposit: Implies that commercial banks are mainly dependent on public deposits. Banks accept deposit from those who can save money, but cannot utilize in profitable sectors. People prefer to deposit their savings in a bank because by doing so, they earn interest. Advancing of Loans: Banks are profit oriented business organizations. So they have to advance loan to public and generate interest from them as profit. The public deposits are used by commercial banks for the purpose of granting loans to individuals and businesses. Discounting of Bill of Exchange: Bill of exchange is a negotiable instrument, which is accepted by the debtor, drawn upon him/her by the creditor and agrees to pay the amount mentioned on maturity. Discounting bill of exchange is another function of modern commercial bank. When the bill of exchange matures, the bank gets its payment from the party, which had accepted the bill. Cheque Payment: Banks provide cheque pads to the account holders. Account holders can draw cheque upon bank to pay money. Banks pay for cheques of customers after formal verification and official procedures. .
Remittance: Remittance is a system, through which cash fund is transferred from one place to another. Banks provide the facilities of remittance to the customers and earn some service charge. Collection and Payment of Credit Instruments: In modern business, different types of credit instruments such as bill of exchange, promissory notes, cheques etc. are used. Banks deal with such instruments. Modern banks collect and pay different types of credit instruments as the representative of the customers. Foreign Currency Exchange: Banks deal with foreign currencies. As the requirement of customers, banks exchange foreign currencies with local currencies, which is essential to settle down the dues in the international trade. Consultancy: Modern commercial banks are large organizations. They can expand their function to consultancy business. In this function, banks hire financial, legal and market experts, who provide advices to customers in regarding investment, industry, trade, income, tax etc. Bank Guarantee: Customers are provided the facility of bank guarantee by modern commercial banks. When customers have to deposit certain fund in governmental offices or courts for specific purpose, bank can present itself as the guarantee for the customer, instead of depositing fund by customers. Credit cards: A credit card is cards that allow their holders to make purchases of goods and services in exchange for the credit card’s provider immediately paying for the goods or service, and the card holder promising to pay back the amount of the purchase to the card provider over a period of time, and with interest.